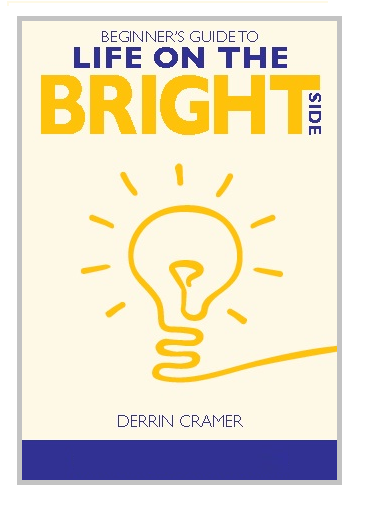 I have just finished reading Derrin Cramer’s new book and I can definitely recommend it for parents and teachers of gifted students! This book is a comprehensive guide for parents and teachers and provides them with a wealth of information in an easy to read format. 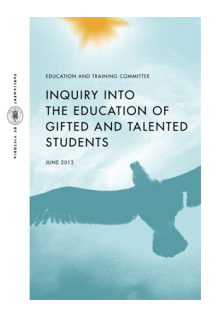 Part 7 For Teachers is a section to help teachers recognise the gifted students in their classes and provide some strategies for working with gifted students. Throughout the book there are quotations and every part contains Read More sections giving details of books and articles for further reading. As well as an Appendix containing useful checklists, an Index and a Glossary there is an excellent Notes section at the end of the book. This is the book I would have loved to have when our children were young! “We acknowledge our sporting heroes. We have a very good model for acknowledging excellence in our sporting domains. That could be transposed very easily into celebration of academic excellence, problem-solving, music and arts. In this country if we have good leadership in acknowledging gifted and talented people and celebrating their successes in the way that we celebrate our sporting heroes’ successes, then we are well on the way to having a very smart next generation coming through. There’s life in the old Blog yet! Recently I received an email telling me that I needed to either close the Gifted Resources blog or update it to the newer format. I realised what a long time it had been since I posted on it. All my blogging energy has been poured into Sprite’s Site for the last few years. My tech guru, Jamie Tarling, put in a lot of work to update this blog and transfer old posts into it. It was exciting to see the possible formats and themes on offer for the updated version. The picture in the blog header changes randomly from a selection of Gifted Resources pictures at each page refresh. Thank you very much, Jamie! So how will I use this blog? I enjoyed the walk down memory lane as I read the old posts. They are a mixture of Gifted Resources information and personal stories. And I can see the seeds of some of my current interests expressed in some of the posts. 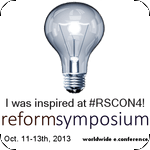 I think I will use this blog for posts which relate to Gifted Resources, to issues relating to giftedness and possibly include some personal stories. But if the posts relate to Sprite or any of the characters from that blog I will post them on Sprite’s Site. I may import some of the posts from Sprite’s Site into this blog and there will be quite a bit of cross referencing between the two blogs. I am going to add Tags to the previous posts and have fun sprucing up the blog. Maybe the Dabrowski Dogs will visit this blog occasionally too?